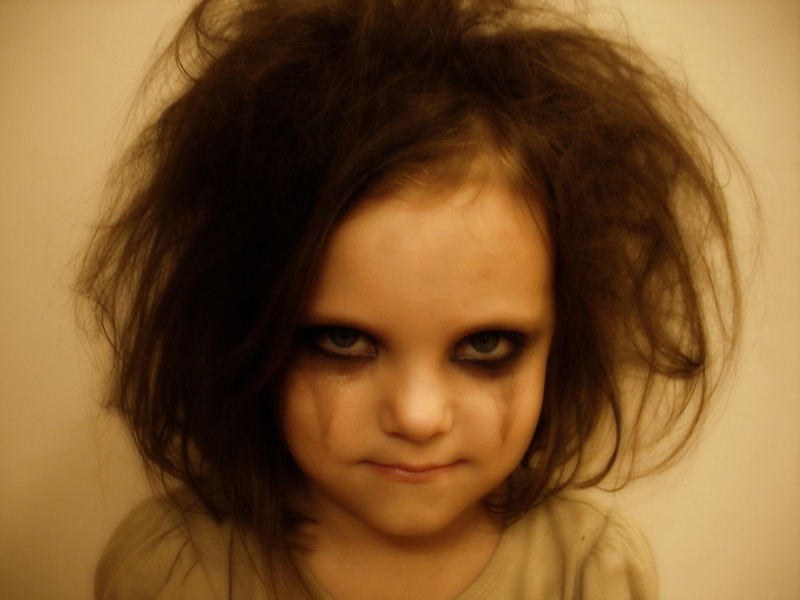 Home / Go Ask Jane: Is It Wrong To Dress My Children In ‘Gothic’ Attire? Apparently, many people in the district feel that it’s inappropriate for 11-year-olds to wear mesh shirts, black eyeliner and lipstick. Teachers claim it’s a distraction to the other students, but I’m always seeing Elementary school kids dressed in what their parents think is cute, why shouldn’t I be able to do the same? Worse still, one of my closest friends recently told me that it was “tacky” to “force my subculture on my kids”. As if! They love their little black clothes! They don’t want to have “swag” or be preppies. Each of my boys tell me that they embrace the darker side of life, and don’t want to change to conform to societies norms. So my question is, what are these people’s problems? Is it average bigotry, jealousy, fear of the unknown? I just can’t wrap my head around it! Hello, Sasha, and thank you so much for writing me! I see that you are definitely in quite the pickle! Allow me to be frank with you, as I feel your situation is far more dire than it may initially seem. Whenever you have several individuals, many of them upstanding members of society, informing you of a parental faux pas, I think it’s your obligation as a mother to at least consider what is being said. Unfortunately, I do not believe you’re taking an open-minded approach to the constructive criticism of your peers. Sasha, what you are doing is child abuse. Pure and simple. Sure, it doesn’t leave visible wounds, but the psychological damage your actions are creating will last a life time. I’m sure you’re not intentionally harming your children, and are an otherwise great mother, but the sad fact of the matter is, you’re causing them irreparable harm. By forcing an anti-social style of dress onto your kids, you’re essentially setting them up for failure. You may think it’s cute, but when you send your children into the chaotic and merciless fray of public schools dressed in what is essentially a target for bullies, you immediately alienate them from their classmates. You’re basically begging the other children to bully Damion and Azriel. Which brings me to another point: do you really feel that those names are appropriate for a child? What happened to names like Bill, and Thomas? Why not let them enjoy their childhood free of a selfishly imposed stigma which brands them as a freak or outcast. I should also note while I’m on the subject, a teacher’s job is already difficult enough, and having children disrupting class with their outrageous, vaguely satanic appearance does the educators no favors. Please, let your kids be kids. How you choose to dress is up to you, if you want to look like you’re attending a glam rock funeral, that’s your prerogative. But your kids shouldn’t have to face endless embarrassment and ridicule because of their parent’s inability to empathize.